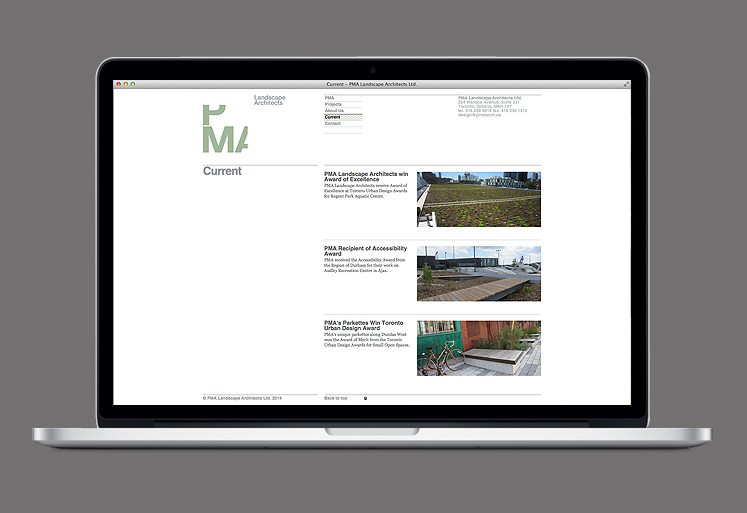 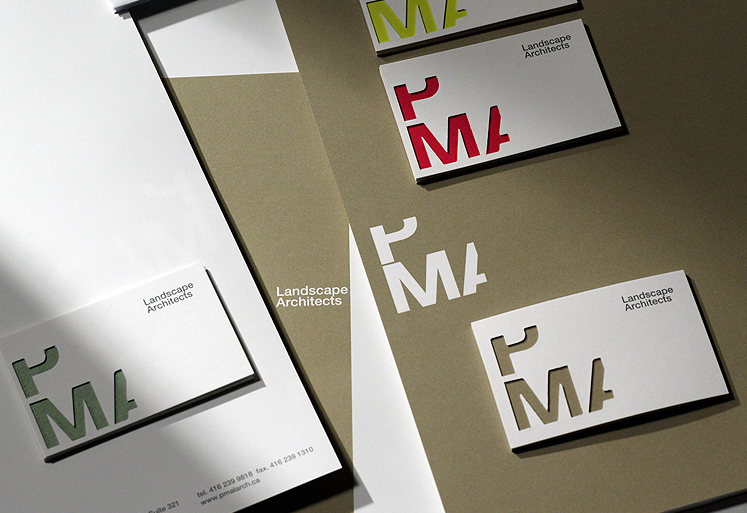 PMA is an award-winning design studio located in Toronto specializing in landscape architecture and planning projects. 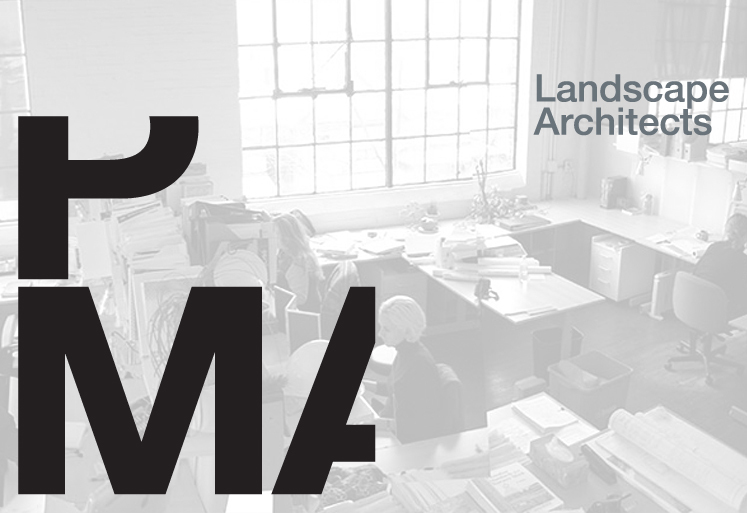 Established in 1982, PMA is highly respected for its professional integrity, creativity, environmental sensitivity and technical knowledge. 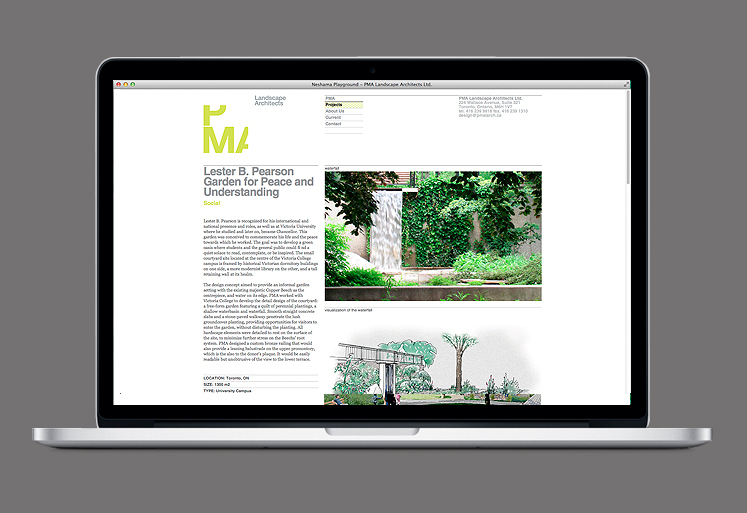 The studio has extensive experience in small to large-scale projects for both the public and private sector. 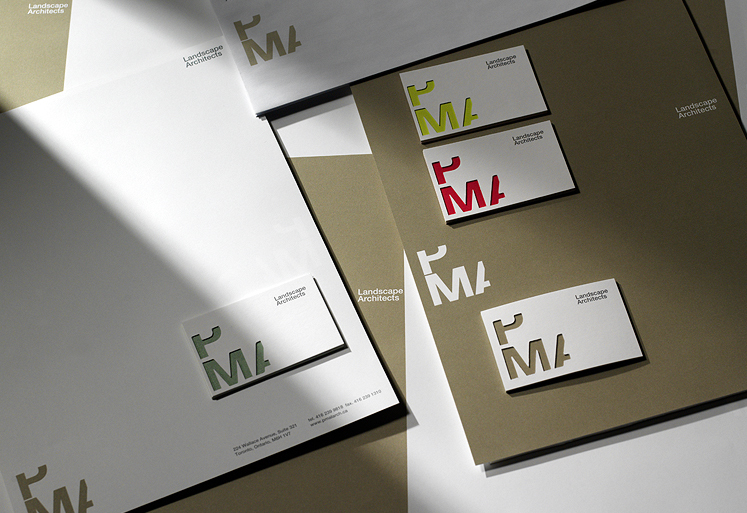 typotherapy was commissioned to develop a new brand identity for PMA that is memorable and reflects the company’s core strength and unique quality. 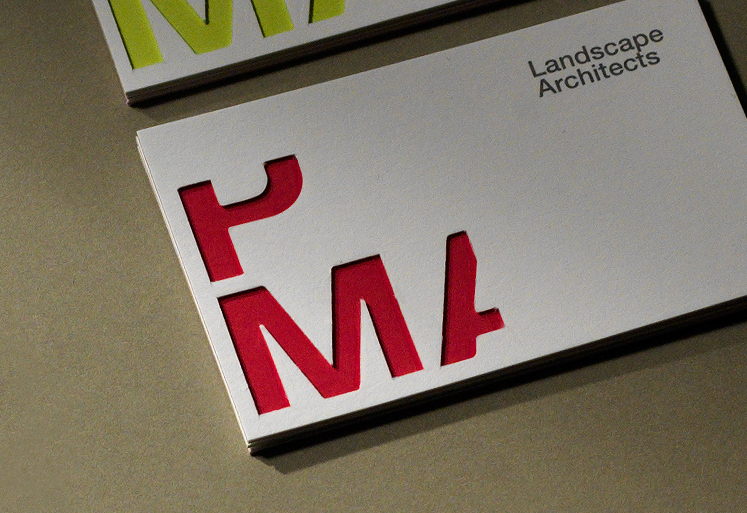 This uniqueness was demonstrated in the business cards typotherapy designed where the firm’s die-cut logotype revealed a solid background colour. 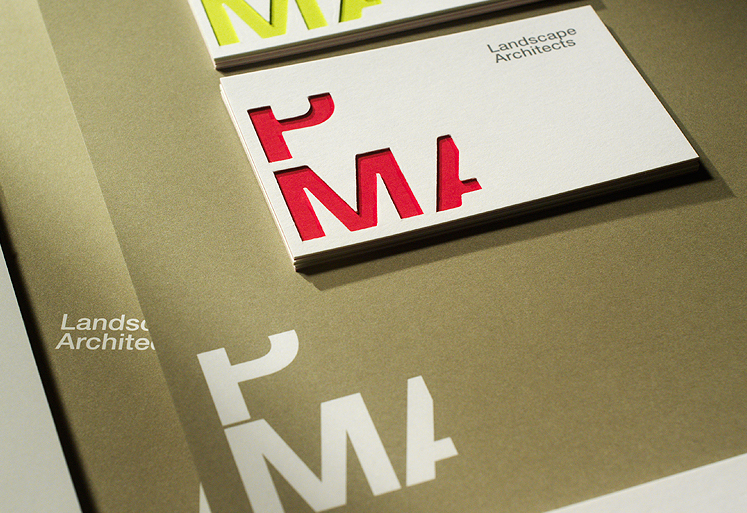 Four different background colours were used in the series and each employee received the entire series of business cards in a set. 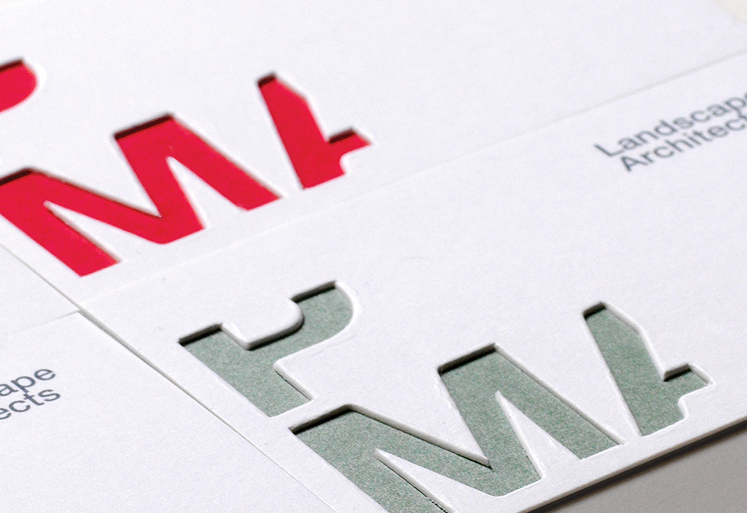 The final result was a playful and memorable keepsake. 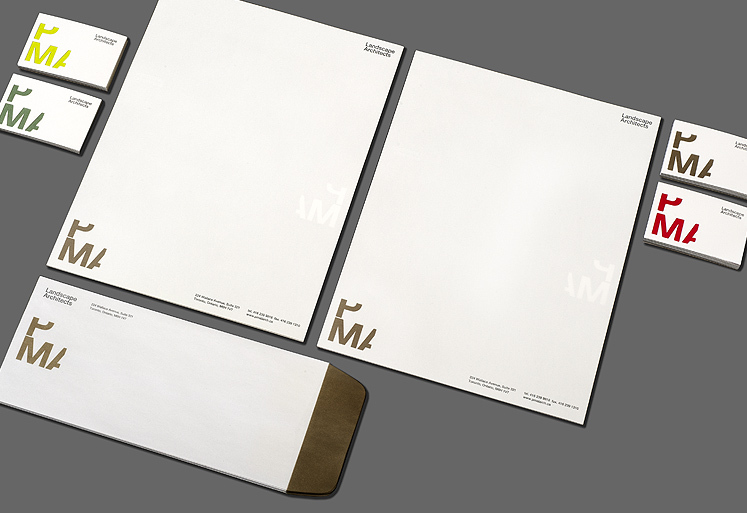 In addition to the logotype and business cards, a full stationery set, comprehensive website, brand identity system and standards were also delivered.